Hello and welcome to our website for Computer Design Studio, Inc., the graphic design component of NanoPlanet. CDS was created in 1991 and it's hard to believe how time has flown. At the moment, CDS/NanoPlanet represent many companies in Aspen, Summit County, Las Vegas, Texas, California, New Mexico, New Jersey, and New York. We're proud to represent many of the clients that joined us in 1991 to this day. We will happily provide references and testimonials from our many and varied capabilities. CDS has been the winner of over 160 design awards from Communication Arts, The Illustrators Society, The Advertising Awards ("Addy's") and considered one of the top advertising graphic designers in Las Vegas. Work included production of logos, brochures and the like for The Lodge Casino, Bullwhackers, Mandalay Bay, Bellagio, The Blue Man Group, NAWBO, WODA, Tradewinds Construction, ArtSCAPE, Architectural Stains, Lakes Dermatology, The Spa at Lakes Dermatology, Ski Country Resorts and Sports, Wynn, Rio, CLS Limo, Harrah's, Caesars Palace, and many more. We work with small, mid-sized businesses and great big companies too. Since 1991, companies have trusted CDS with their website design, graphic design, brochure development, and marketing strategy. We create exceptional work, and most importantly, we get results. You are in good hands with CDS, no matter your size. "I just wanted you to know over the past couple of weeks especially we've had some really great compliments on our website. Patients have said how easy it is to find things, how informative it is, how helpful the site is, how clean and pretty it is, and several people said they found our site from other places like RealSelf and Yelp and stuff and knew they'd found the right office when they got to our website and saw how professional it is. So I wanted you guys to know that it's really, really great!!!" Thanks CDS for your knowledge and quick response. Everything went smooth and our stats started rising. Worth every dollar we pay! CDS is the best way to squeeze the most out of your dollar. CDS is the best in the business. We've had some really great compliments on our website, customers love it! We love our new web site! 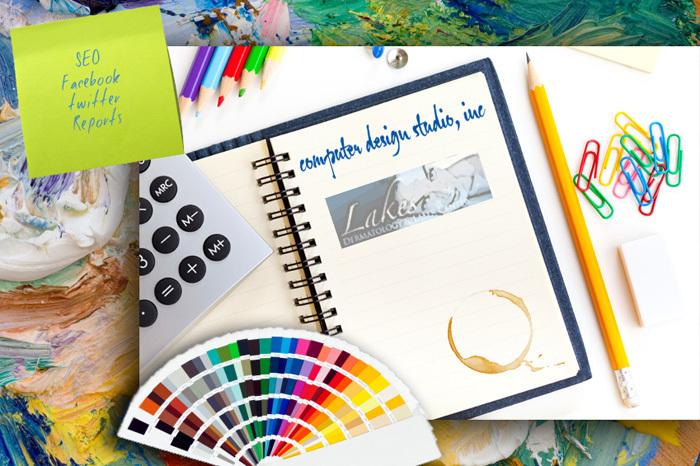 We have worked with many design firms in the past and CDS is our favorite! Copyright © 2011 Computer Design Studio, all rights reserved.